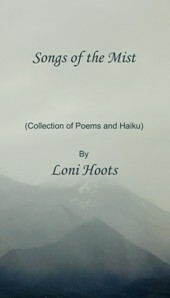 Loni Hoots is a busy young lady living in northern Utah, where she is surrounded by the beauty of nature to inspire her. 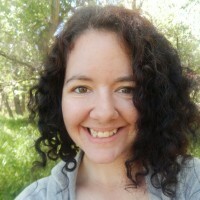 She works primarily as a stress management coach, Mind Body Fitness coach, and Pilates Instructor; all while she pursues her passions in writing, painting, and various creative and adventurous activities. She is the author of four books of poetry; a children’s book (a series in the making); and a novella. On a bright and sunny day, Little Bird decides to fly out of the nest and go play. As he flaps his wings and circles around the park, he decides to land on a branch not knowing whose home it is. To his surprise, he meets a squirrel. This sparks a friendship and many adventures to occur. 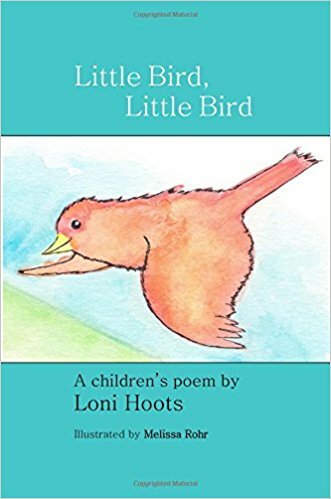 Follow along with Little Bird as the adventure continues, and meet the new friends he encounters. Illustrated by Melissa Rohr; cover design by the author. Iceland has always been known for its unique history and insanely beautiful landscapes; however, for Ingrid it has become a battlefield where she constantly fights herself. On the outside she seems relatively calm to the world, portraying a regular sane person; but in her mind she is slowly breaking down from years of silent torment, loss of loved ones, and the inability to heal herself. 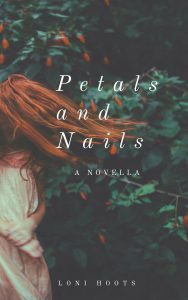 With the help of magic realism woven between love and mental health, Ingrid starts to find herself, and finally begin to heal – something that she has been aching for for so long. 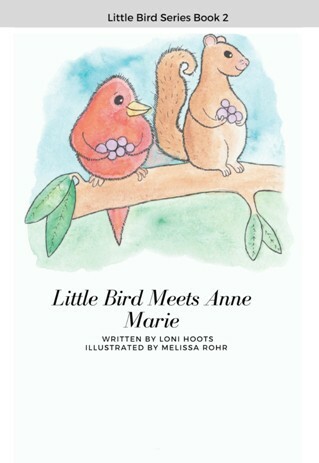 Little Bird, Little Bird is a children’s book with full color illustrations by Melissa Rohr. Follow along with Little Bird as you get settled in for the night. This sweet little poem will keep the imagination burning bright. Grab some hot cocoa or tea, open the book and enjoy this cute quirky journey. The heart is indeed a fragile organ, constantly going through heartaches and being caught by numerous love spells and potions. And to many, they do not realize how fragile the heart is, that is until they witness the shattering affect that occurs when someone walks out of their life, or the glue that places the pieces back together when a new love comes into their lives. 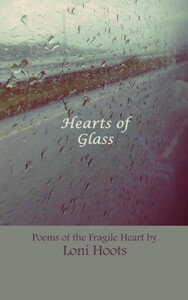 This collection of poems dives into the world of the fragile glass-like heart, showcasing the passionate memories, somber moments, and devastating blows the heart receives throughout the course of life. With me standing in the middle of it all. Letting the universe take hold of our destinies. While we are in different countries. Dive into the mist that surrounds the mountains, forests, and oceans; listen to the stories that mist has accumulated over the years. Listen to the stories of lost cities, of the ship that sails the seven seas to this very day, and of the blue cottage over on Juniper street. As your eyes and your mind are filled with the scenery, the mist will whisper the words in your ear from each poem. Paperback; 105 pages. $9. For they are the portals into one’s soul. Inviting the bees to come and find the sweet honey. Making you fall head over heels. 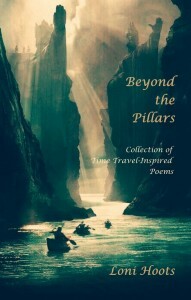 Go through the pillars and into the time portal to travel back in time. Travel back to Cleopatra’s reign, to the mysterious island that disappeared in the 1800’s, to the ancient Druids, among other places throughout time. The vivid imagery that bounces from the words off the page and into your mind will take you on a journey that you can enjoy in the morning or at night. Paperback; 77 pages. 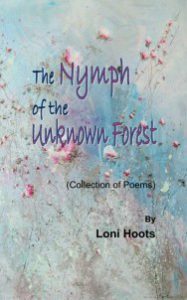 In The Nymph of the Unknown Forest, the deep waters of the subconscious surface softly in this fantasy-full collection of narrative poems rich with the romance of youthful imagination, ethereal as whispers in wind and waves, yet clear and multi-sensory as a lucid dream that returns night after night. 49 pages. The beautiful meadows are filled with red roses. The softness of the grass under her feet tickled her lightly. She didn’t want to ruin the landscape. She wanted to preserve the flowers. She would then pick them. Carry them off to her villa. For now, these roses will stay. Stay to keep the meadows alive.